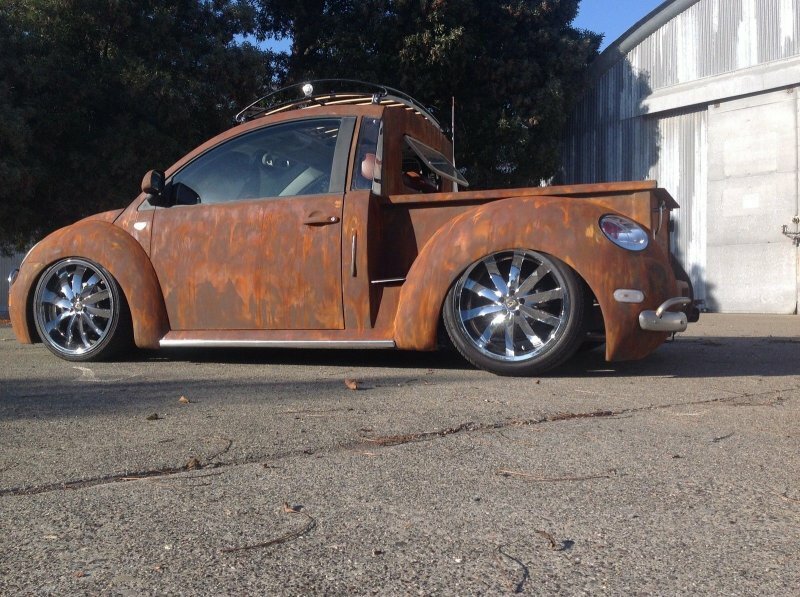 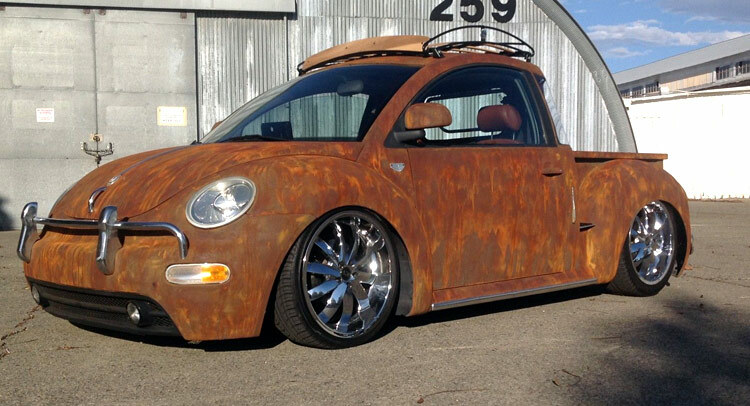 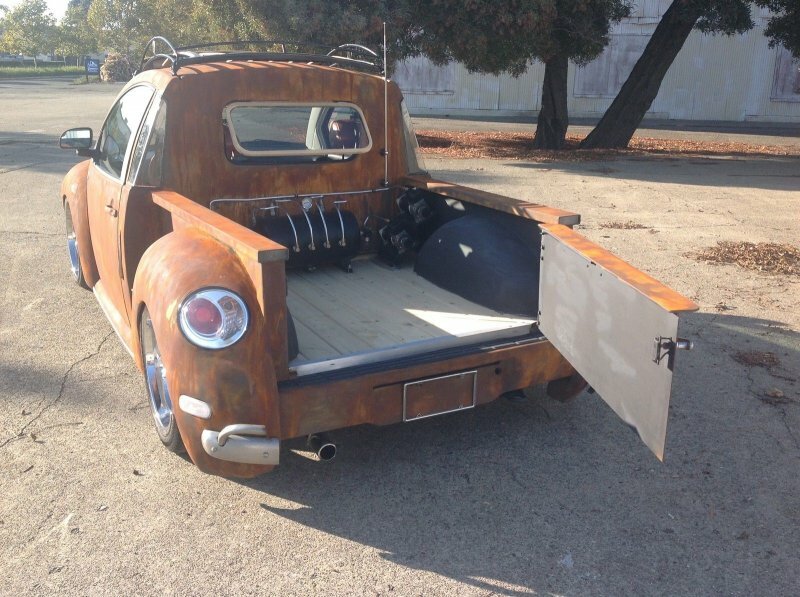 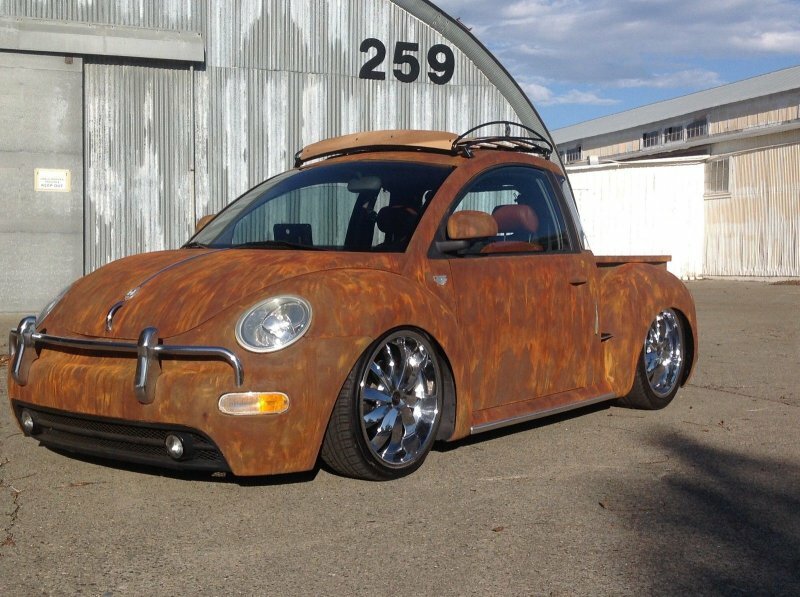 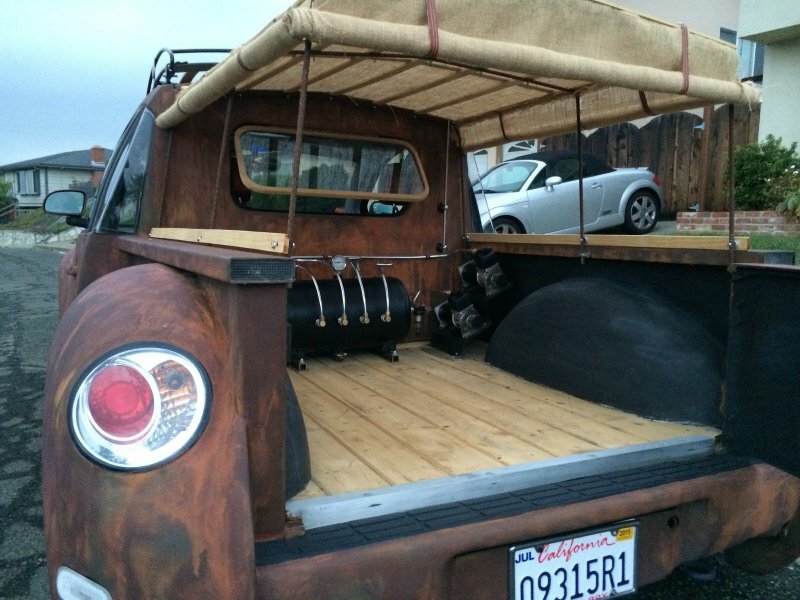 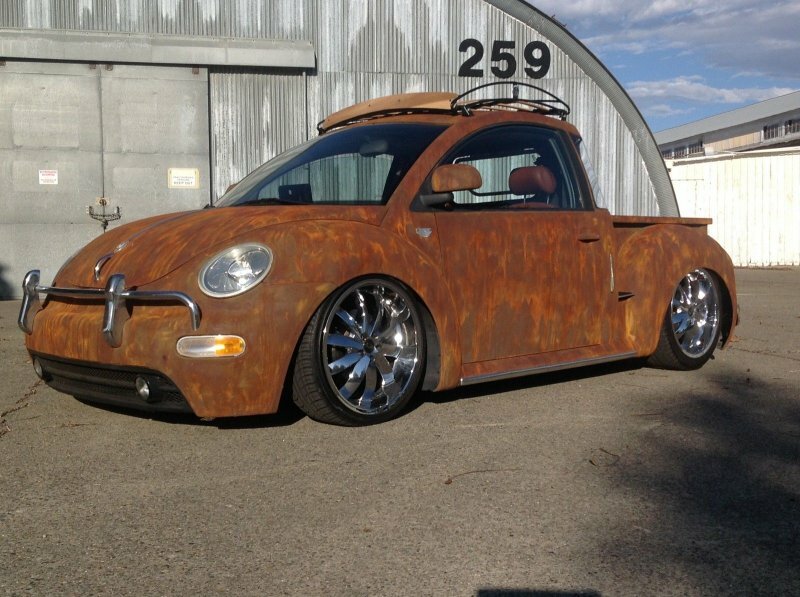 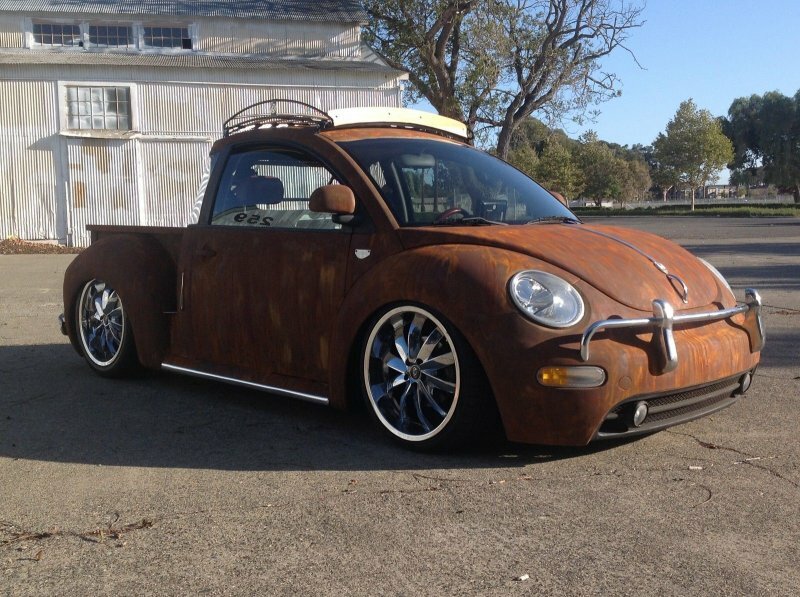 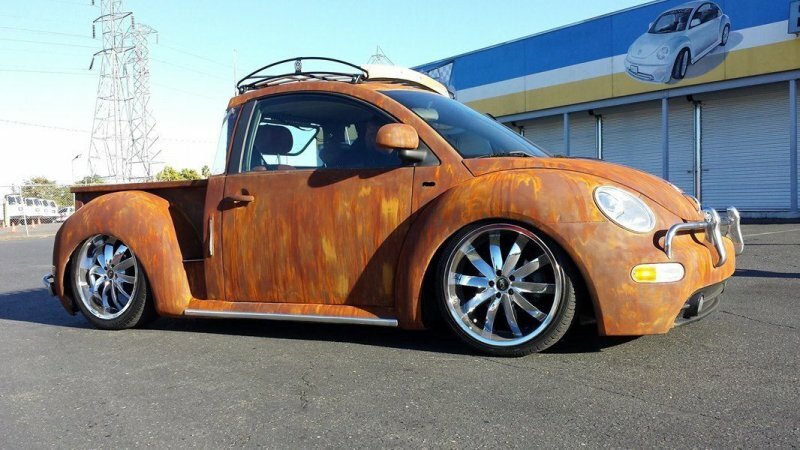 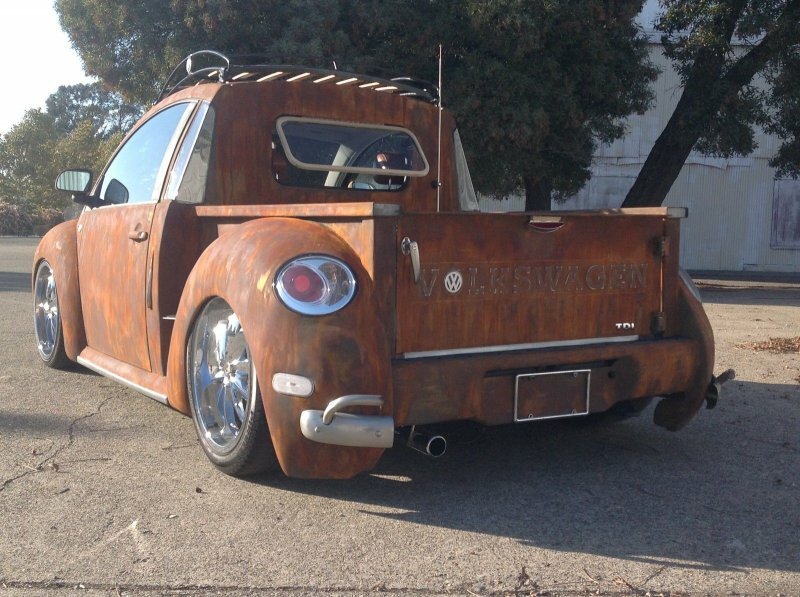 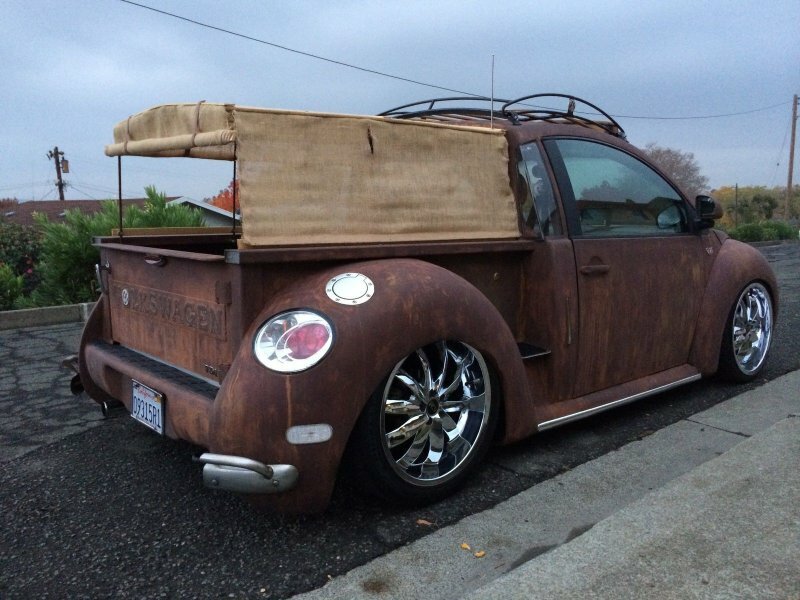 Up for sale, one of a kind 2000 Beetle TDI Pickup Truck. 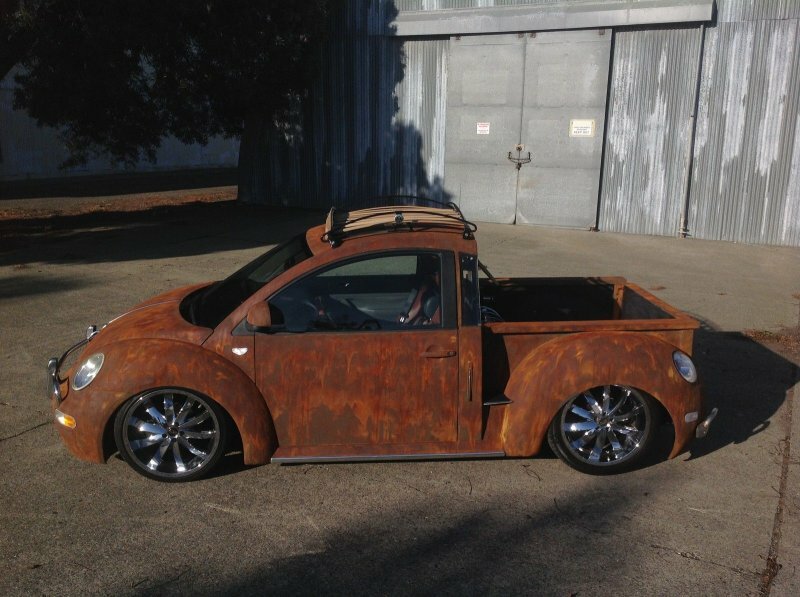 Professionally built and registered commercial, licensed as “Pick Up Truck”. 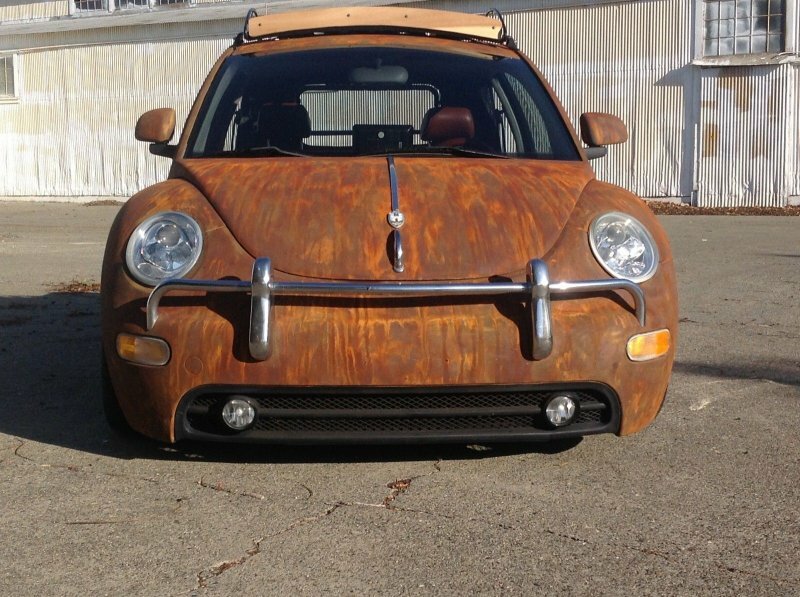 Equipped with desirable and reliable 1.9L Turbo Diesel Engine with only 60,000 original miles, which averages 48mpg with a 5 speed manual transmission. 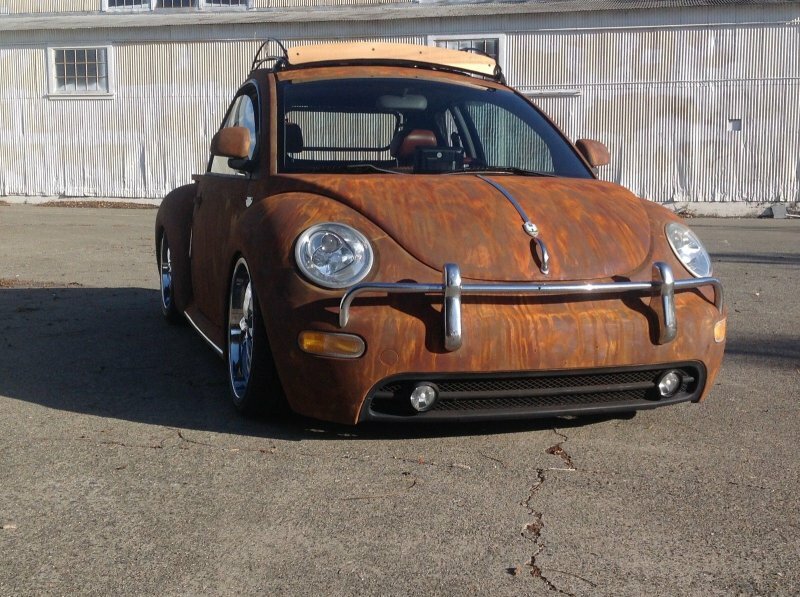 Turn key reliable, ready to drive or show, this car gets LOTS of attention so be ready! 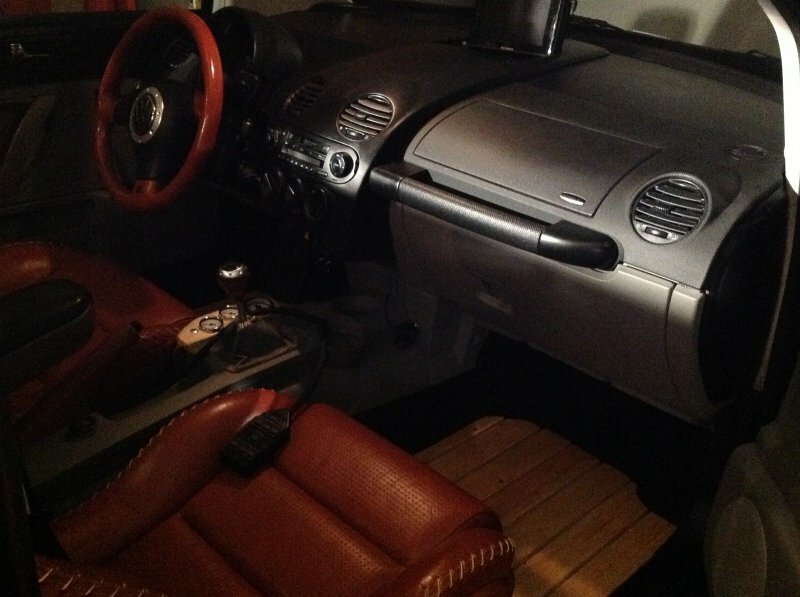 The interior has baseball stitch leather heated seats from a 2004 Audi TT with matching steering wheel and shift knob. 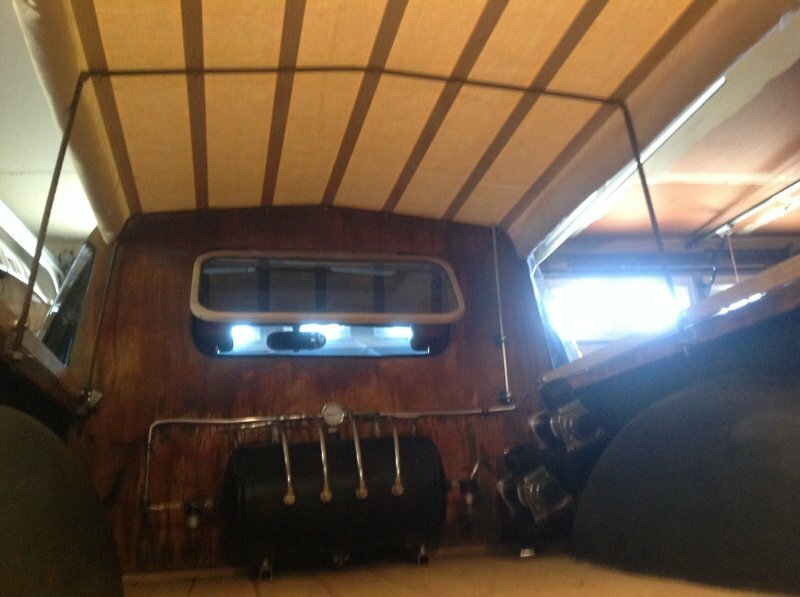 Retro hardwood plank floors and rear custom safari wood frame window, working three position sunroof, dash top flip up DVD player and 500 watt stereo system. 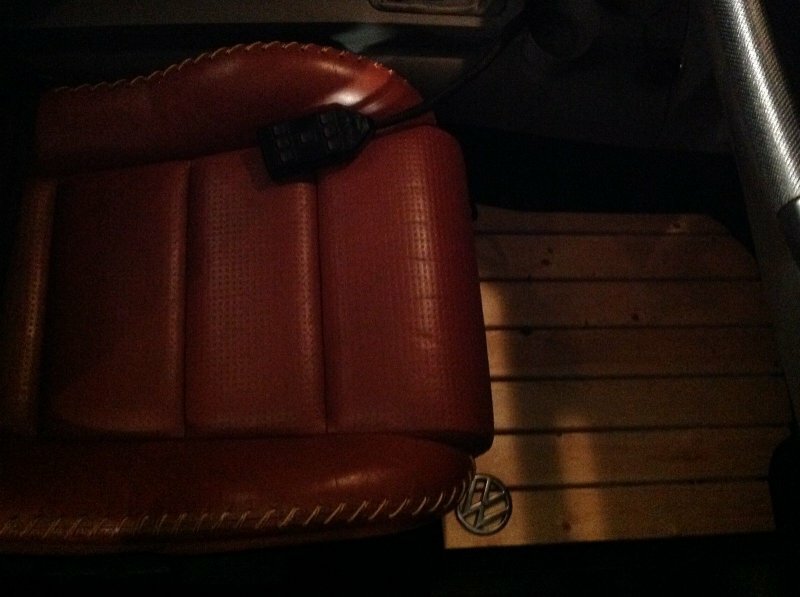 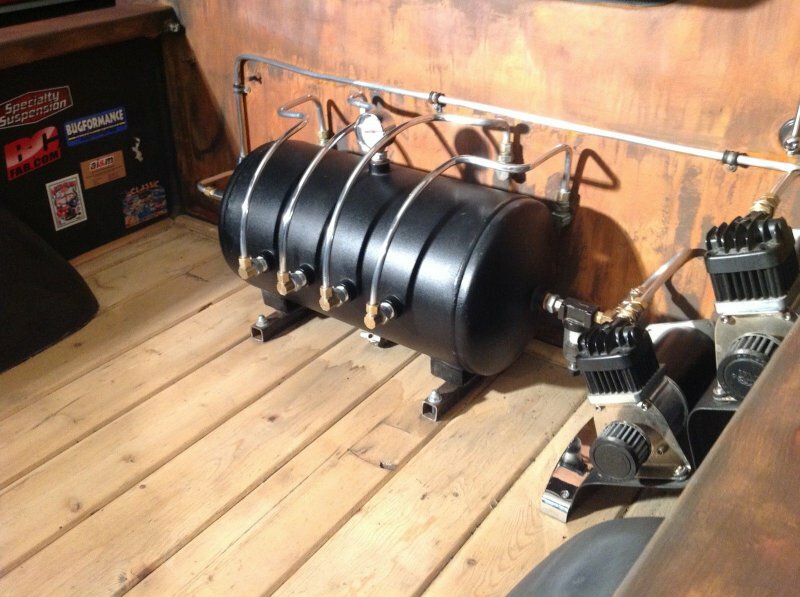 Complete Airtech 4 wheel air ride system. 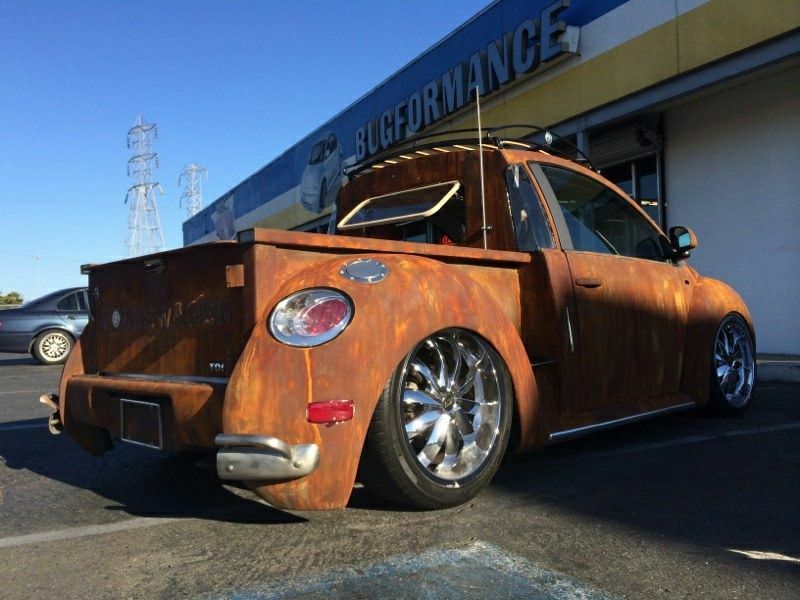 The car lays out at 1.5 inches at it’s lowest point and will raise 4 inches above stock height, a MUST SEE! 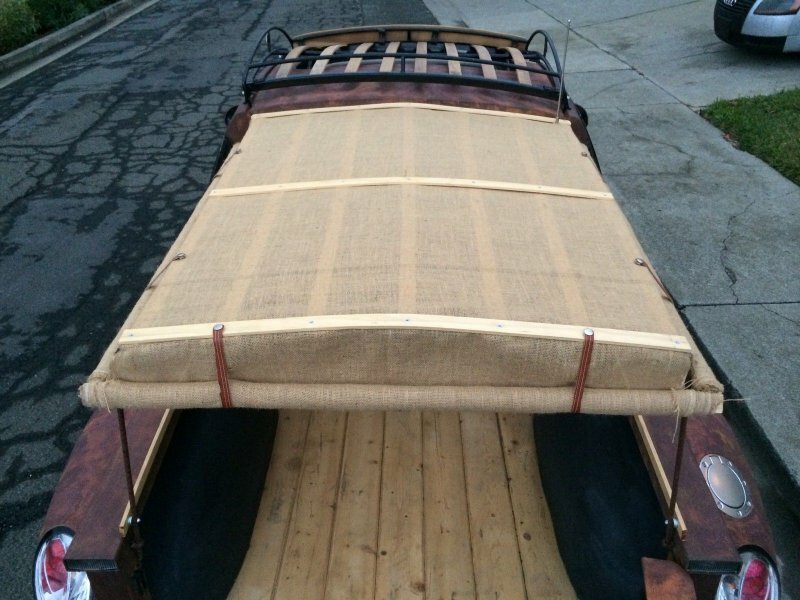 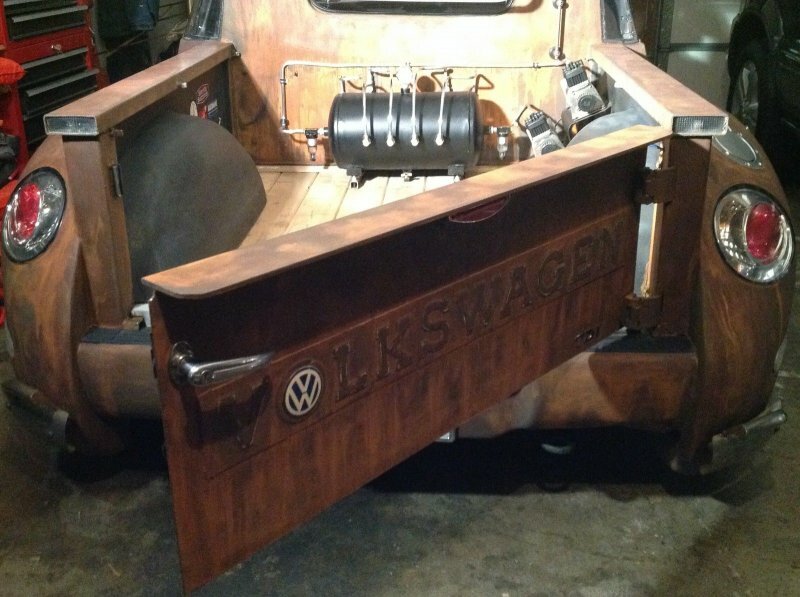 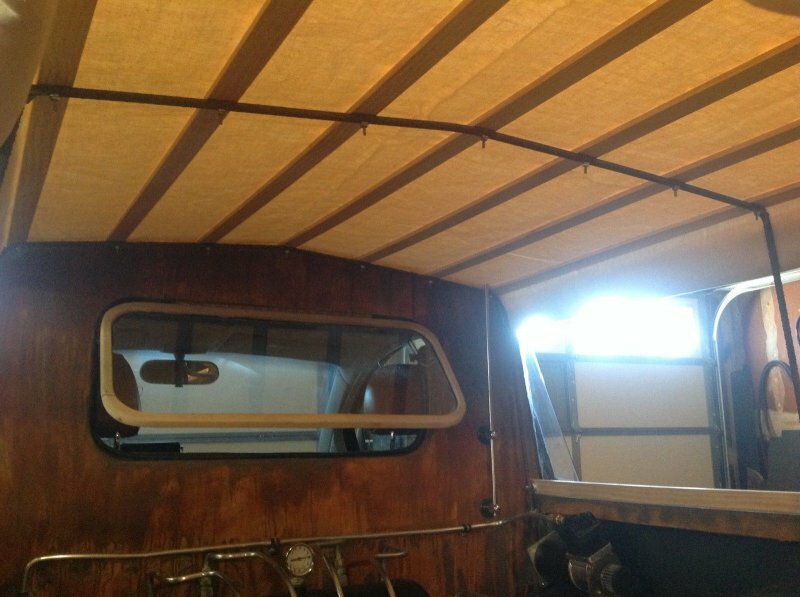 Custom PIP style roof rack, with wooden slats. 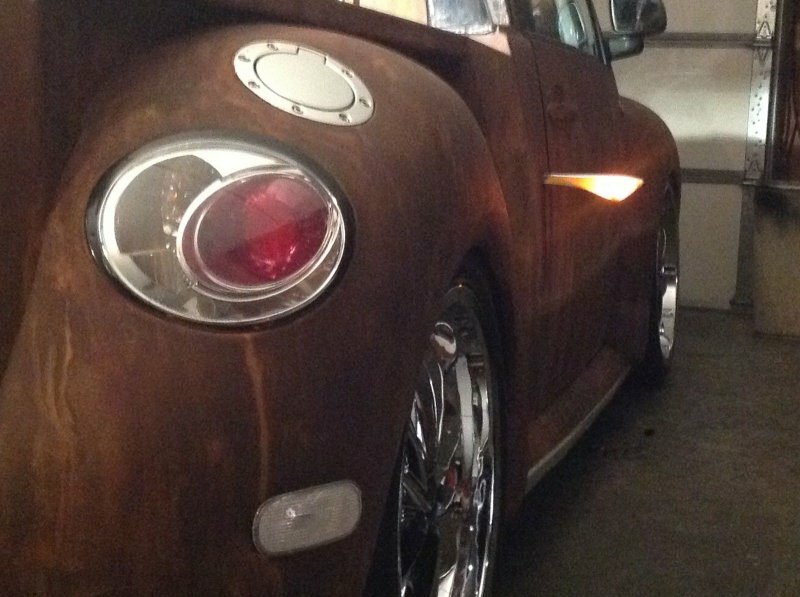 LOTS of custom retro touches make this new Beetle a fan favorite at all the shows. 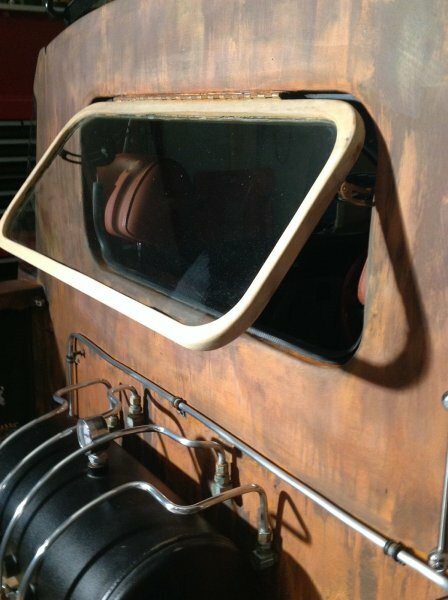 It even has a set of working semaphores. 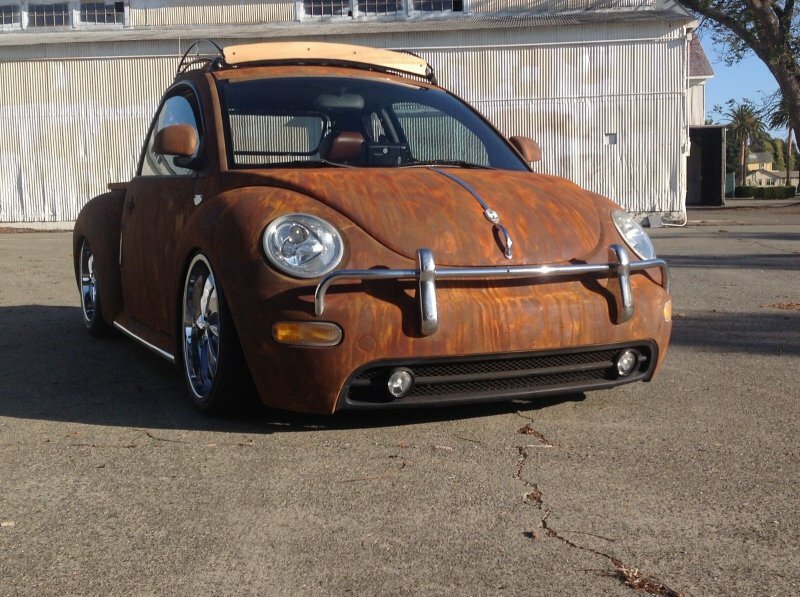 Note: it is not a vinyl wrap this car is actually painted with a system that is actually rusted.